After the Korean ferry accident last year Yuluck, a Korean designer based in Italy, wanted to find a way to make safety manuals more interesting to read. 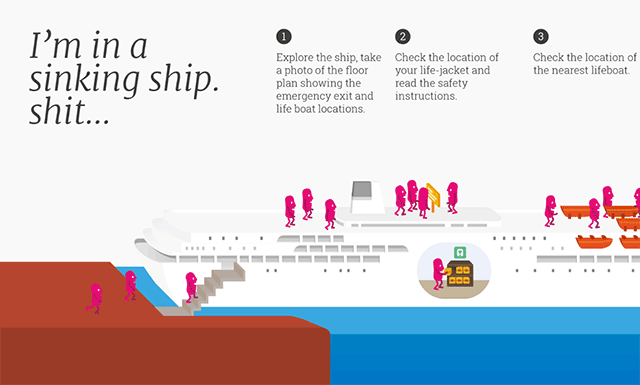 As a personal project with the support of his friends, he spent one year designing an interactive safety guide for ships that combines fun graphics with relevant guidance on how to proceed in situations that may arise in ship emergencies and would like to share it with the design community. Thank you for your time and enjoy the website presenting the illustrated safety manual for ship passengers.